On Sunday, August 24th at 3 pm BookEnds BookGroup will discuss Divergent By Veronica Roth ~ All Welcome ~ Find out what everyone is talking about! The OUR PARENTS MADE US DO THIS BOOK CLUB will discuss Divergent By Veronica Roth. Who it's for: Ages 12 & up, and those who enjoy YA Literature! Fiction, Fantasy & Adventure, Mac's Book Club for girls will discuss Divergent By Veronica Roth on Saturday, January 11th at 10:30 a.m.
Veronica Roth is currently considered a "single author." If one or more works are by a distinct, homonymous authors, go ahead and split the author. 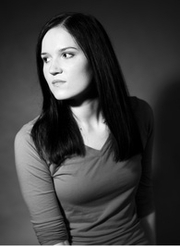 Veronica Roth is composed of 3 names. You can examine and separate out names.